As of 1st July 2011 bank exit fees became illegal on all ‘consumer regulated’ home loans in Australia. Now more than 12 months later the heavens haven’t fallen and there appears to still be healthy competition from the smaller banks – something that I thought would suffer. More recently banks can no longer put barriers in place to stall customers switching to other brands as of 1st July 2012 it easier for borrowers to switch transaction accounts and direct debits banks. All of this suggests that borrowers can take a loan out today and when a better deal comes along simply jump onto the better option. However there is an elephant in the room and that is called “Automated Credit Scoring” (ACS). This is a dark and secret process used by many lenders to filter out what they consider low grade applications and as the name implies the process is automated. Even more disturbing is that in some cases there is no appeal process and a rejection is issued without explanation. One thing that is certain is that your credit history and in particular the number of inquiries over the past 2 years is a very important factor in ACS. These are credit inquiries and will include credit cards, store cards, personal loans, car loans and home loans. The benchmark used to be 6 inquiries however the lenders keep their ACS criteria under wraps and it is possible that this is now reduced. This can mean that if you applied for a loan 2 years ago and that application may have involved a new credit card then applied for a refinance 12 months ago in conjunction with a store card and say a car loan – that will be 5 inquiries … what’s worse is that if that lender’s ACS knocks you back you now have 6 inquiries and things are getting worse. 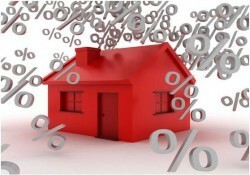 So don’t get carried away with the idea of constant refinancing as you may just be messing your own nest.